In what was the first meeting between the sides since last year’s league final, Dublin and Kerry produced a spicy encounter this afternoon in Croke Park in the Allianz NFL. Long before the end of the contest Dublin had swatted aside the Kerry challenge with consummate ease and are on the cusp of qualifying for yet another league final. Kerry started brightly and led by four points to one by the ninth minute with points from David Clifford, Kevin McCarthy, Paul Geaney and Sean O’Shea, Dublin’s solidarity reply coming from the boot of Colm Basquel. By the end of the first quarter there was just a point between the sides with Ciaran Kilkenny swinging over two points in a row in the space of a minute. 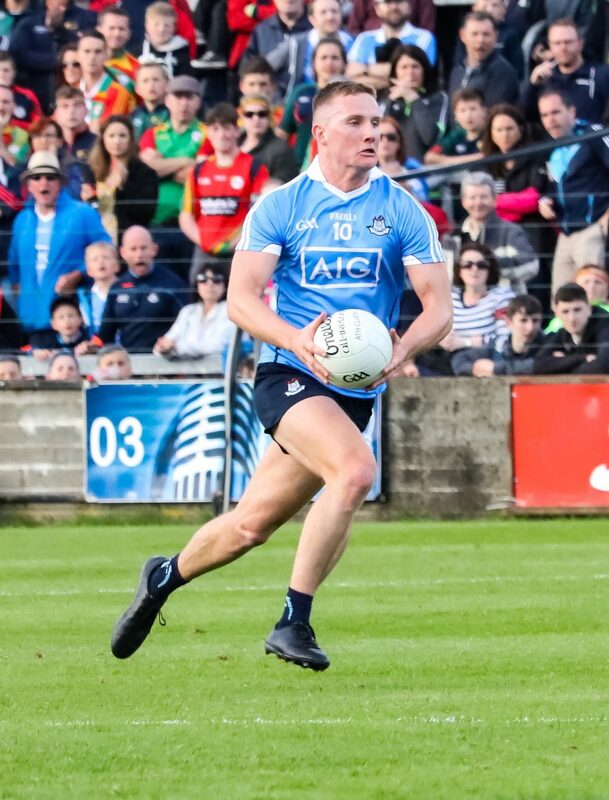 The action was going from one end of GAA headquarters to the other and the teams traded a brace of points each, Clifford and Kevin McCarthy for the Kingdom and Dean Rock with a Free and a good finish from Jonny Cooper for Jim Gavin’s side. The game turned in Dublin’s favour in the 20th minute of the first half, a free from Clifford was intercepted by Cooper who started a sweeping move towards the Hill 16 end. A shot by Shane Carthy looped up into the air and Niall Scully was quickest to react and palmed the ball to the back of the net to give Dublin the lead in the game for the first time and one they wouldn’t relinquish. That goal seemed to signal not just a change on the scoreboard but a rise in incidents in what was already a feisty affair as scuffles broke out in different areas of the pitch. There seemed to be a concerted effort to get Niall Scully sent off, first Peter Crowley who was lucky to have lasted the game got involved in a scuffle with Scully with both players yellow carded. Straight away Brian Ó Beaglaoich was switched onto the Dubs number 10 and proceeded to push and drag out of Scully off the ball in an attempt to get a reaction, luckily Niall didn’t fall into the trap. At this stage referee Ciaran Brannigan who performance was abysmal today had lost control of the game. In between the mini flash points a free from Dean Rock and points from Kerry’s David Clifford and Michael Burns had kept the scoreboard ticking over. Just before the short whistle both teams had a player black carded, Barry O’Sullivan was sent to the line for dragging down Brian Fenton after the Dublin midfielder marked a kick-out. And then Dublin’s John Small had his afternoon come to a premature end on the advice of the linesman’s for hauling Sean O’Shea to the ground off the ball. It was all Dublin after the break as they up the gears and blew Kerry away in the third quarter blasting and unanswered 1-06. Paddy Andrews and Paddy Small put Dublin five ahead inside the opening three minutes after the restart. Three minutes later and it was game over when Ciaran Kilkenny who put in a man of the match performance poked the ball home for Dublin’s second goal of the game. Further points from Colm Basquel, Niall Scully, Paddy Andrews and Dean Rock made sure there would be no comeback from the men in Grennell and gold. Kerry finally got their first score of the second half in the 50th minute from Micheál Burns. Paddy Andrews swung over his third point of the game in 54th minute. With no challenge left in the game Dublin played keep ball for long periods frustrating Eamon Fitzmaurice’s men. A Philly Mahon point sandwiched between points from Michael Geaney and a David Clifford free and a fine point from substitute Cormac Costello ended the scoring in a game that was over long before the final whistle. It may have only been a fifth round league tie but it was sobering defeat for Kerry and it could have been an even bigger margin as Dublin had two further goal chances come back of the post in the second half and had another effort saved. 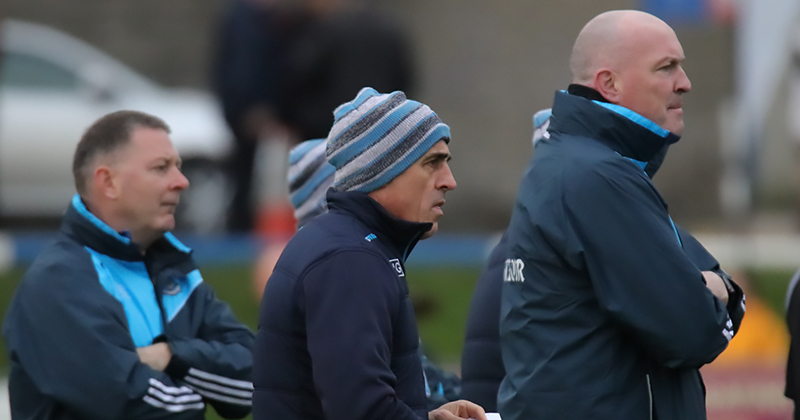 Dublin head to Pearse Stadium next weekend to take on an unbeaten Galway side with the distinct possibility that both sides will meet in the League Final on the 1st Of April.